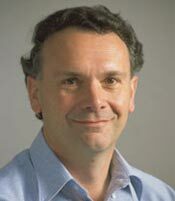 Nick Cutmore graduated with a Bachelor of Science (Hons 1 and the University Medal) in physics in 1977 and a PhD in solid state physics in 1981, both from the University of New South Wales. He then joined the School of Mining Engineering at the University of New South Wales as a Research Fellow where he developed a novel scanning electronic microscope based system for materials characterisation. Dr Cutmore joined CSIRO in 1983 as a Research Scientist in the On-line Analysis and Control Program, and is currently Site Manager for CSIRO Minerals at Lucas Heights and Theme Leader, Instrument Systems for On-line Analysis. His research interests over this time have predominantly been in microwave and radio frequency technologies for the on-line analysis of materials in the minerals, coal and oil industries. He has commercialised three technologies for on-line analysis of moisture in materials and one technology for on-line analysis of carbon in fly ash generated by power stations. These systems have been commercialised through Australian companies and are sold worldwide. He was elected as a Fellow of the Australian Academy of Technological Sciences and Engineering in 2004. Cutmore N, 2009, Personal communication.